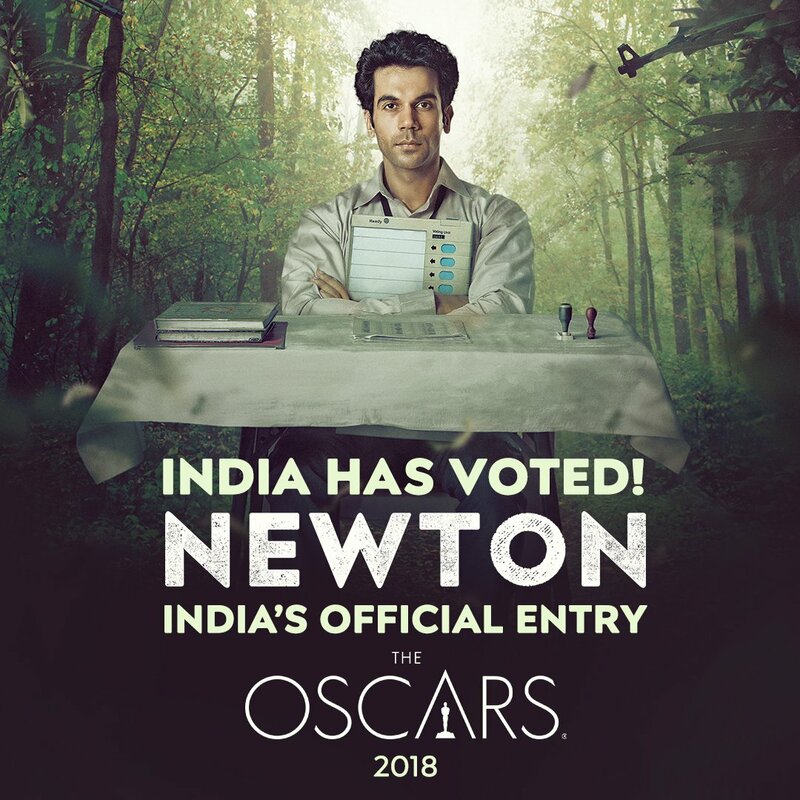 Starring Rajkummar Rao, Newton has received accolades at international film festivals the world over including the Berlin Film Festival, Tribeca, and the London Indian Film Festival among others earlier this year. 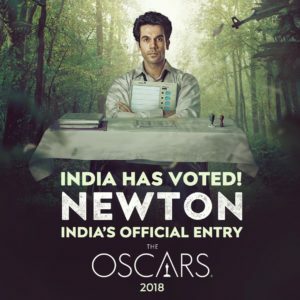 Now the Eros International, Colour Yellow Productions and Drishyam production has been chosen as India’s official pick for Oscars 2018 in the Foreign Language Film category. We here at BollySpice saw the film at the prestigious London Indian Film Festival earlier this year. In her rave review, Katherine Matthews singled out ‘the deft writing and dark humour, the cinematography (by Swapnil S Sonawane who was also the DP for Faith Connections and Angry Indian Goddesses) and its fine performances’. Eros International and Aanand L. Rai present, a Drishyam Production, in association with Colour Yellow Productions, written and directed by Amit V. Masurkar, Newton released on September 22, 2017. 15 queries in 0.606 seconds.